September 11, 2001 left an indelible mark on American history when nineteen members of al Qaeda carried out the deadliest attack on American soil since Pearl Harbor. 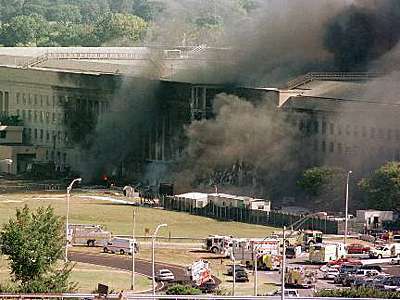 After hijacking four planes, the terrorists flew two into the Twin Towers of the World Trade Center, while a third struck the Pentagon, killing more than two thousand people in total. As sirens blared, smoke billowed and survivors mourned lost loved ones, the audacity of the attack launched the United States and the world into a Global War on Terror, which would engender years of asymmetrical warfare, political instability and sectarian division within the Middle East. 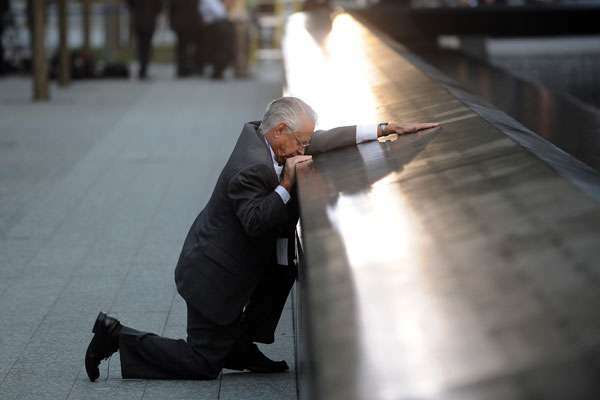 More than a decade later, the tragedy of 9/11 continues to direct the United States’ action across the world and to complicate its relationship with Middle Eastern allies and partners. In an interview with Charles Stuart Kennedy beginning January 2011, James A. Larocco, at the time the Principal Deputy Assistant Secretary for the Near East Bureau, discusses his predictions of an attack, his experience of 9/11, his concerns regarding early preparations for a war in Iraq, and his analysis of the international consequences. You can also read the Moment on 9/11, which includes Ambassador Hull’s account of being in the Pentagon during the attacks, as well as other Moments dealing with terrorism. I told him that I had been around terrorism my entire career. I had just come from an area where the threat is felt every day. And it’s growing. I concluded by saying that while I was not an analyst, so I couldn’t direct him where and when the terrorists might hit, I felt it in my bones. There was going to a major terrorist attack. For my part, I was consulting with our missions in the region every day, reviewing the threat situation and making sure everyone was prepared. But in coming back to Washington, I was baffled that terrorism seemed missing in action in the media….I thought I had given him a great scoop. He wasn’t interested. 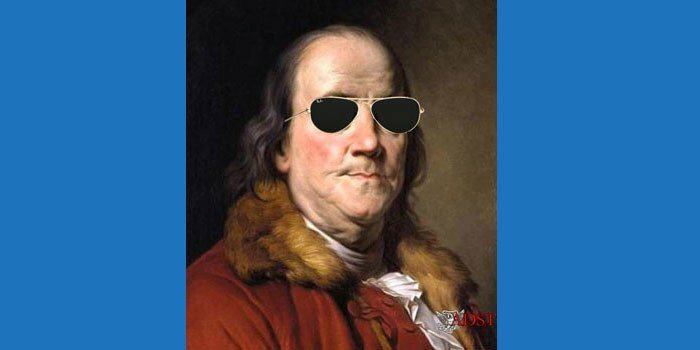 He was ill served, and so were Americans….And he would have become the most sought after journalist in Washington. The road not taken. What I didn’t tell him is that I was constantly monitoring the threat situation under a great deal of pressure from a senior official at the White House to do something. They were absolutely convinced that American interests were going to be hit and hit hard and dramatically, likely in Saudi Arabia. We were drowning in threat information, but the consensus view of the analysts was that an imminent strike, if it took place, would be in our region. So I spent a good deal of time checking with our people. I never heard one word from the White House or from any other agencies indicating that the threat might be right here, including just right across the river from where I was sitting [at the CIA in Langley, VA]. There were so many “dots” out there that connecting them was a nightmare. I knew our region was a prime target, and so did all our ambassadors and RSOs [Regional Security Officers]. We were prepared as much as one can be while still going about our daily business. The particular concern of the White House was not our missions, but rather American citizens. I was blunt with the White House in saying that we can issue Travel Advisories all day and night long, but at the end of the day, American citizens make their own choices….Once again, I could feel in my bones that something was going to happen. But where? None of us thought it was going to be Washington. I kissed the ground when I came back to Washington, thinking my days facing the risk to my family from terrorism were over. Violence had followed me everywhere, everywhere I went through my career, including China. Now I have escaped it. I am done. Little did I know how wrong I was. I thought our days living with the threat of terrorism were over when I and my family returned to Washington in June 2001. During the summer, the threat of terrorism loomed large and seemed imminent in our region, particularly in the Arabian Peninsula countries. But Washington — or New York? There was no thought whatsoever in this regard…. I recall 9/11 vividly. 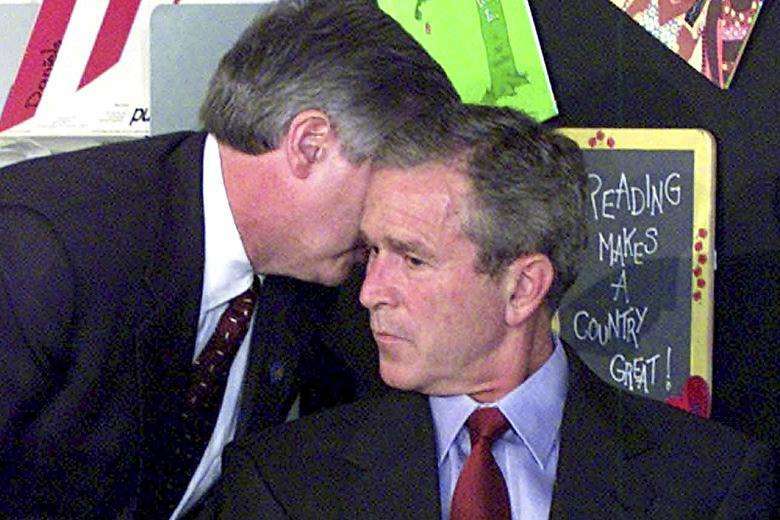 I was in with our press team preparing the daily press brief when the news showed the first of the twin towers with smoke billowing out of it. I ran back to the front office to alert our executive office that we should stand by. I was in with the staff assistants when the second tower was hit. We alerted all our staff at that time to stand by. I was in Bill’s [Bill Burns, Assistant Secretary of State for Near Eastern Affairs] office talking about the events. We were staring out his window at the Lincoln Memorial, with the Potomac River in the background and the Pentagon behind that, when we saw a huge plume of smoke rise from the side facing us. We had no idea whether it was a bomb or a plane, but we knew immediately that we must go into action…. Since all of us in NEA had drilled what to do in case of an emergency and were all familiar with dangerous situations…we all followed procedures, with most of our staff going directly to the State Plaza underground parking lot. All our key officers evacuated to the other side of C Street, which faces the main entrance of State. I note this because there were no announcements or instructions over the State public address system, and much of the rest of the building was in chaos. I recall our little group standing calmly when a CNN reporter came up to us. He asked who we are. We said NEA. He commented, “It figures. You guys are used to this.” Yes, and no, I’m sure we all thought. Over in the region was one thing. Here in Washington was quite another. It wasn’t supposed to happen here. A few minutes later, the CNN fellow told us there was a rumor that there were more planes out there, and one [might] be headed for the State building. At that point, I told everyone to disperse. We were informed that the Secretary was in his office and State leadership would relocate to FSI [Foreign Service Institute] at Arlington Hall. Bill decided to go with the Secretary, staying with him in case of need. I grabbed two of our best younger folks, Cheryl Steele and Gregg Sullivan, and told them to come with me. I got my car out of the underground lot and was able to make it home in 10 minutes. That was a miracle in and of itself. We then sprang into action. Using my home phones, we called every embassy in the NEA region, ensuring that their front offices knew what was going on and asking them to phone when they could relate information about their own situation. I asked that all use their warden cascade system to try to reach every American. This process took about three hours…So that was 9/11. Here’s the thing with the Middle East: their innate distrust of us is profound. You can’t measure it, it is so high. What is counter-intuitive from this is that at the same time, their degree of trust in certain individual Americans is also almost immeasurable. George H. W. Bush, had earned enormous trust from many of the leaders in the Middle East, including the Saudis, and especially the Kuwaitis….He had taken the time to get to know all these people, walk in their shoes, and understand their concerns. He drank the tea and enjoyed it, and they saw this. They trusted him, and this particularly paid off in the Gulf War…. People in the Middle East, from leaders to those on the street, can and do distinguish between our policies, our practices, our ideals and who we are as individuals. They have long loathed our policies, found our practices hypocritical with those ideals that they admire, while bonding closely with certain individuals irrespective of the messages those individuals convey or the policies they must represent. It’s the nature of the region. Those much vilified “Arabists,” especially during the period right after 9/11, understood this. They had experienced it. Our leadership then and our leadership now do not understand it, with some notable exceptions…. Q: What was your impression of Secretary of State Colin Powell and Deputy Secretary of State Rich Armitage and their sensitivity to the Middle East? LAROCCO: They were both well versed on the Middle East. Because of that, they came into office with the same attitude as every Secretary other than Kerry: the Middle East is a hopeless quagmire that we spend too much time on, and I won’t fall into this trap….In fact, it looked that this might be the case at the beginning of the new administration, but 9/11 swept everything previous away. The burdens outstripped by a mile our capacity in NEA [Bureau of Near Eastern Affairs] and issues themselves sucked up the attention of all our top leaders, including the President, Vice President, Secretaries of State and Defense, CIA Director, National Security Advisor and their staffs. Even [the] Treasury got sucked into the vortex, spending a great deal of time on terrorist financing in the region. Our issues were front and center 24/7, but we were not the captains. We were simply one of the crews manning the various ships sailing in the greater Middle East waters. Q: What was going on in Egypt when you first arrived? LAROCCO: Our relationship was on a steady course, witnessing close to 100 percent cooperation on all our strategic issues: counter terrorism, including sensitive renditions, safe and timely passage for our warships in the Suez Canal, over-flight rights for our military aircraft and maintenance of the Egyptian-Israeli peace, a cold peace, but a stable one. Egypt’s political situation was calm and its macro-economic situation defied dire predictions made for decades about its imminent economic collapse…. In short, Egypt was not on the list of “major problems” in the aftermath of 9/11. It was definitely on the “highly positive” side of the strategic ledger, and reflecting these were the regular phone conversations between the President and Mubarak…. 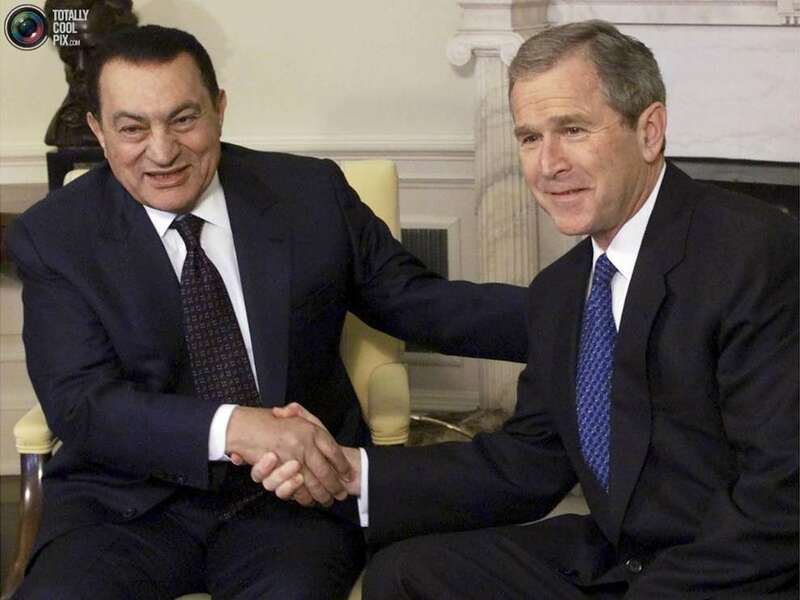 Post 9/11 signaled a much more active relationship with Egypt on the counter-terrorism front. There were several other issues that kept us busy, generally because they were put in the spotlight by the White House….First, were all the rights abuses – political, human, and civil – of the Mubarak regime….It seems every administration says at one time or another that our values are unshakable when it comes to Egypt, but reality reveals otherwise: the strategic importance of Egypt always has meant that in the oft-fought battle in foreign policy between strategic interests and values, when it came to Egypt, strategic interests won. And still do…. Lebanon and Syria were always high on our screens, but during this period, [they] moved in and out of attention. Hezbollah in Lebanon, a well-established force in the region and of longstanding concern to us, called for a special review following 9/11. Conclusion of analysts: al Qaeda was defeatable. It was the B-team at best when it comes to terrorism, a regional phenomenon, containable. Hezbollah, on the other hand, was the A-team, a global phenomenon. It had to be put off for another day, another era. For now, all sights were on al Qaeda. Syrian meddling in Lebanon was also a concern, but their role was well understood. This role was defined in the unwritten “rules of the game” that Israel, Syria and Lebanon understood. This kept the peace whenever there were flare ups. Just as life in America was changed forever by 9/11, so was the work of our office and State in general. We were all driving in the fast lane, and work was 24/7. The global war on terrorism, a name which came later, had changed not just the way we worked, as security tightened everywhere, but also the priorities. And once again, the Middle East was in the cross-hairs of nearly all those priorities. Peace and war, oil and investments, human rights and democracy, WMD [Weapons of Mass Destruction] and conventional weapons, were now leapfrogged by terrorism to the top of our long list of key issues. So much was being developed on the fly. From terrorist financing to staffing of missions, support for Afghanistan to the lead up to the war in Iraq, it was non-stop brainstorming meetings with short-fuse deadlines, marshaling of resources, human and financial —- memos flying in all directions. It felt like we had not just turned a page in our national security and diplomatic history, we were starting a whole new volume. It was Afghanistan first. This required no explanation to anyone. Everyone was on board regarding this and the issue seemed to be one that could be addressed through military action supported by diplomacy — a lot of diplomacy. We did receive enormous support from some countries, but it wasn’t easy reaching the agreements we did. Our military had quite a list of support they required, and while our countries understood our need to retaliate, they weren’t all on board by any means to an extended war. Little did they know how long that Afghan war would last…. Unseating the Taliban was a relatively quick operation, although the leadership simply relocated to Pakistan, where they remain today. Going after al Qaeda was much more complicated…. 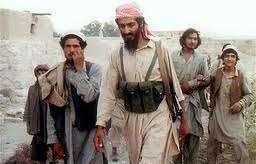 “Beware the consequences of decisions made twenty years earlier.” This was a classic case in which Osama and other mujahedeen were considered freedom fighters back in the 80s, when they were fighting…the Soviets in Afghanistan. We trained, equipped and supported them. Now all that was being used against us. They had learned well how to engage in asymmetric battle. At the time, world sympathies were with us. Punishing the Taliban was an accepted response. And they went down quickly, with our attentions in Afghanistan swiftly turning to stabilizing the situation there and then ensuring that AQ [al Qaeda] would never come back. We are still working on that more than 10 years later. We in NEA at the time were not at all the focus of work on stabilizing Afghanistan, although we had to continually work with the countries in the region to support our goals there…. It was in December of 2001 that it became clear to us in NEA that war with Iraq was going to happen. There simply was no peace option, no negotiations, no bargaining…it was going to be war. But let’s go back to December 2001. I will never forget the meeting where we learned about the decision to prepare for war in Iraq, the so-called “slam dunk” decision. A number of us gathered in the front office. It was early evening and it was already pitch black outside. We were told of the decision to go to war and that there would be more than a year to prepare…. We therefore discussed a game plan for preparing for a post-Saddam Iraq and set out quickly to carry out that game plan. The “Iraq Project” was born, and we drew on the already appropriated $25 million for the Iraqi opposition to set it up and complete its work by early 2003. The year-long process to pull this all together brought the full range of Iraqis of all political persuasions, all economic, energy and financial positions, all ethnic groups, all religions and sects and all regions. It was truly a thorough piece of work that we believed would form the Bible of the post-Saddam period, guiding how we would win the peace after we won the war. Let me be perfectly clear: whatever our doubts, we were one hundred percent loyal in do our best to support our Commander-in- Chief. That loyalty meant that we were not afraid to speak up when we believed there was a better way. In truth, our views were mostly ignored, as there was clearly another game plan—“The Way,” as I called it—and we were considered heretics, diverging unacceptably from that path. “The Way” was seductive: the basic premise was, put in the simplest terms, that we would topple Saddam, announce that we were liberators, not occupiers, as [Army Central Commander] Tommy Franks actually did announce, we would be met with the same kind of cheering as our soldiers in Italy were welcomed during WWII, a new Iraqi government composed of Iraqi expatriates, with [Iraqi politician] Ahmed Chalabi leading the way, would take over, governance would proceed smoothly and our troops would all be out in 90 days — very neat, clean and simple. It was very seductive indeed, and any criticism was dismissed as defeatist. I recall that the late [Ambassador] Hume Horan commented to me as a first-tour officer in Jeddah that the Middle East would always be among our top priorities, that I could count on this throughout my career, and for the careers of my children and my children’s children. It was not just about oil and the Arab-Israeli conflict. There would be other issues in the decades to come after he told me this in 1975. And throughout my career, while these two remained priority issues, the list grew. The Iranian Revolution in 1979 changed the landscape. The spike in oil prices in 1980 led not simply to more pressure on our economy and finances, but also instantly boosted the Gulf into a major engine of investment globally. The Gulf War, the rise of Hezbollah, 9/11, making terrorism for the first time in our history a key issue in our National Security Strategy, the second Gulf war, the Arab awakening, the Arab rewind, the Arab meltdown, Libya, Syria, the Sunni-Shia conflict…. We can’t walk away from these Middle East issues. They simply won’t let us.